National parks are a country’s most important natural attractions — so valuable, so meaningful, and so precious that it’s necessary to preserve and protect them for future generations to enjoy. 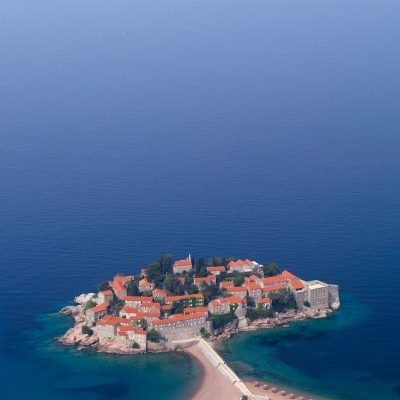 Tablet actually performs a similar function, believe it or not, but instead of identifying and reserving the most extraordinary landscapes, we identify and reserve the most extraordinary hotels. For all our bias, we’re not sure a hotel exists that can compete with the majesty of a Grand Canyon or Grand Teton. 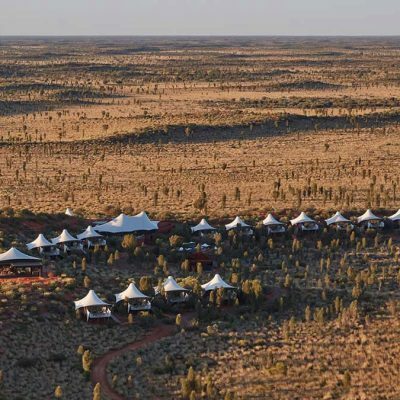 But the examples below — located in or near some of the world’s top national parks — are grand in their own right, and are designed to ensure that your stay inside is almost as impressive as the scenery outside. 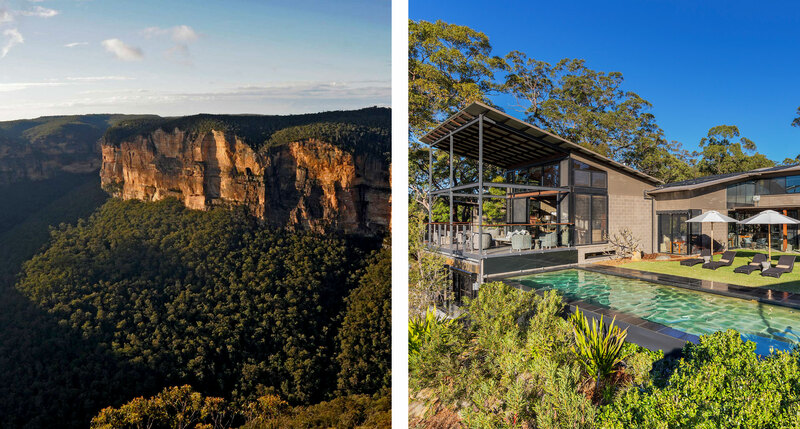 An hour outside of Sydney, right on the edge of Blue Mountains National Park, Spicers Sangoma Retreat mixes luxe modernism with a bit of a safari-lodge accent to create a lavish forest getaway. The retreat is a hiker’s paradise, with trails crisscrossing the woodlands, and a small restaurant brings out big flavors with fresh, seasonal ingredients sourced from local producers. 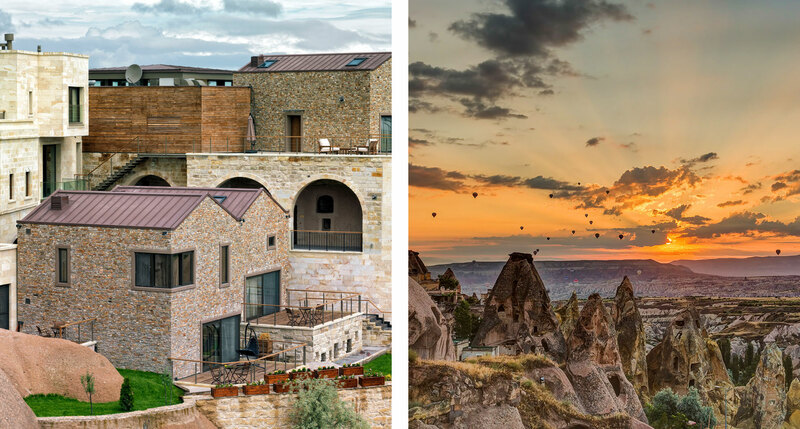 If you’re traveling to Turkey’s Cappadocia region, chances are you’re coming to see not just the unusual rock formations and “fairy chimneys” of Göreme National Park, but also the area’s incredible cave hotels. 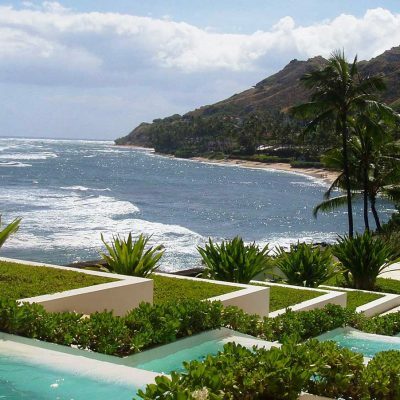 There are more than a few boutique hotels carved into these stone hillsides, and Ariana — part modernist structures, part traditional cave dwellings — is a welcome addition. The islands that make up Dry Tortugas National Park are the westernmost of the Florida Keys, and visitors typically reach them via a ferry boat or seaplane from Key West. Before you depart, rest up at The Perry Hotel. 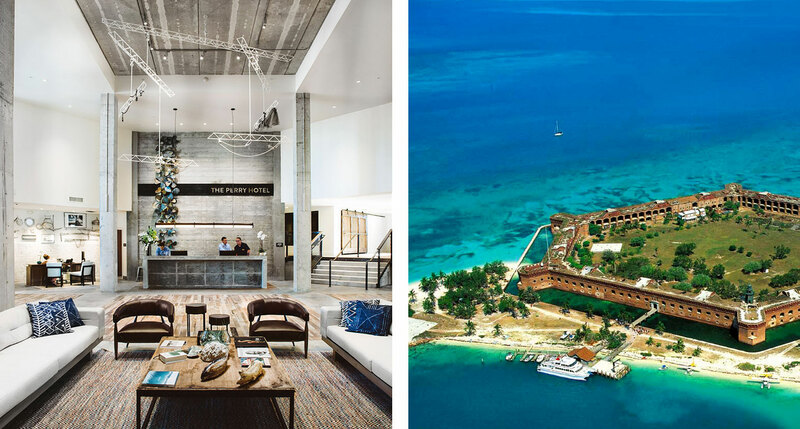 With its marina location and raw-concrete and industrial-salvage architecture, it’s one of the more well-conceived new hotels we’ve come across in quite a while. If Aman knows anything, it’s how to pick a location. 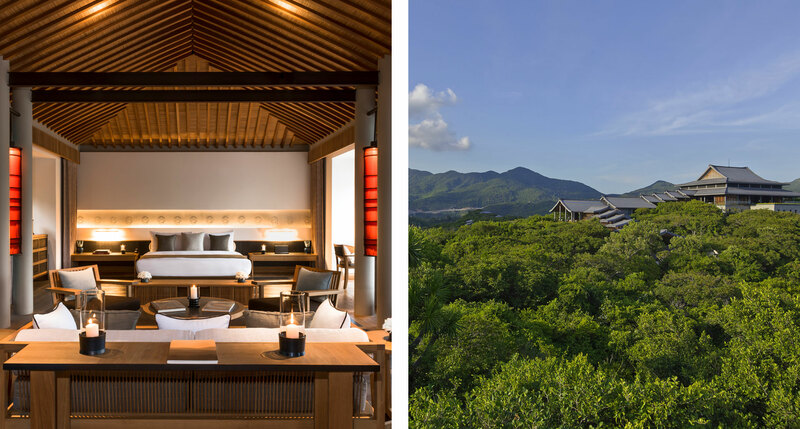 Amanoi, the group’s first hotel in Vietnam, sits on one hundred acres of elevated hillside above the shores of Vinh Hy Bay, surrounded inland by Núi Chúa National Park. 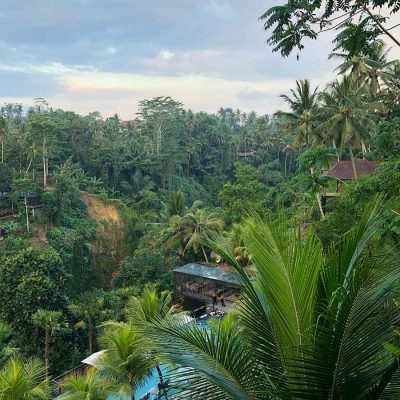 Dense forest and rocky outcrops remain in their natural state, but the resort’s architectural style is signature Aman, combining modern design with the indigenous building tradition. Remota’s industrial, bunker-like design was groundbreaking when it was unveiled in 2005. It’s a huge architectural statement that comes with a small human footprint, putting the emphasis on the surrounding natural landscapes instead of the manmade structures. It’s a good thing, too. 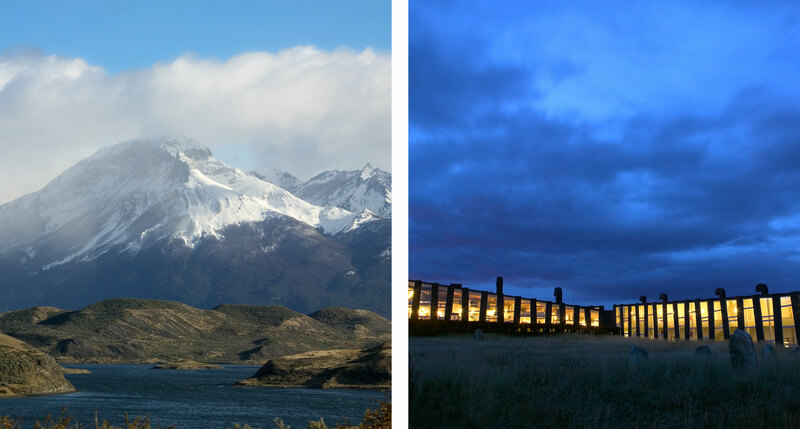 Those surrounds include Patagonia and Torres del Paine National Park, two of the most beautiful places on earth. 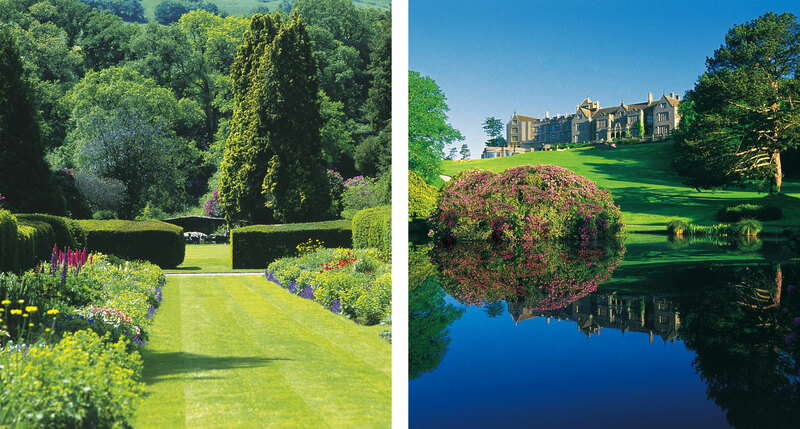 Bovey Castle Luxury Hotel & Sporting Estate (its full name) rests on 275 acres of brilliant countryside right in the middle of Dartmoor National Park. 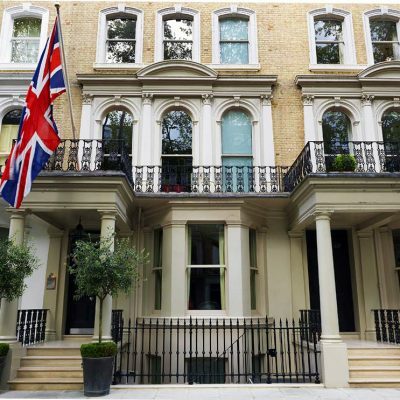 Myriad activities are on offer, ranging from falconry, archery and golf to something called “crolf” — but the highlight, of course, is the castle, a lovingly restored Art Deco revival, rich with classic character and exquisitely rendered spaces. 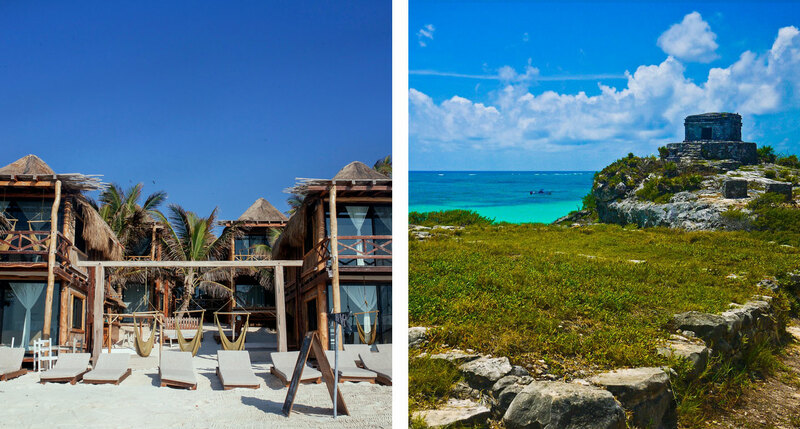 The seaside location of Tulum Ruins National Park is one of its greatest attributes. In fact, it’s the only Maya settlement situated on a Caribbean beach. Just a few minutes down the road, Hotelito Azul Tulum enjoys a similar situation. The hotel is about as close to the sea as you can get, and each room’s front-facing full-length glass doors help bring that spectacular environment inside. 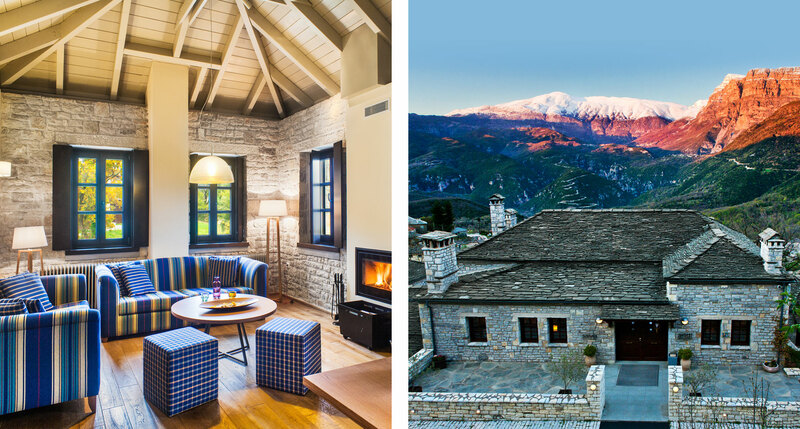 In Greece’s rugged mountainous region of Zagori, ancient villages cling to the hillsides, and one of the most picturesque villages of them all is Aristi — a smattering of traditional stone homes, and home to the modest but attractive Aristi Mountain Resort. The eighteen-room hotel is at the edge of Vikos–Aoös National Park, part of the stunning Pindus National Park and mountain range, and home to the world’s deepest gorge. 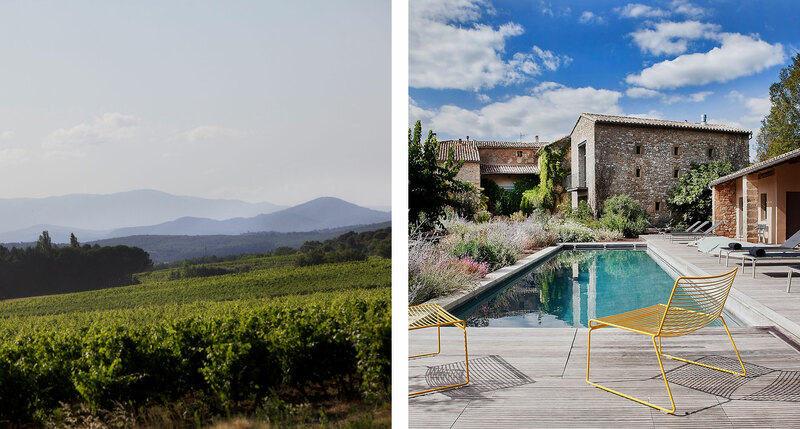 Just down the road from the deep valleys and winding rivers of Cévennes National Park, nestled amongst the Provençal garrigue — maybe the finest scrubland in this or any world — you’ll find La Maison d’Ulysse, a fortified, luxe-rustic, 16th-century farmhouse hotel full of hand-sourced antiques, whimsically repurposed furnishings, and singularly gratifying lifestyle experiences. 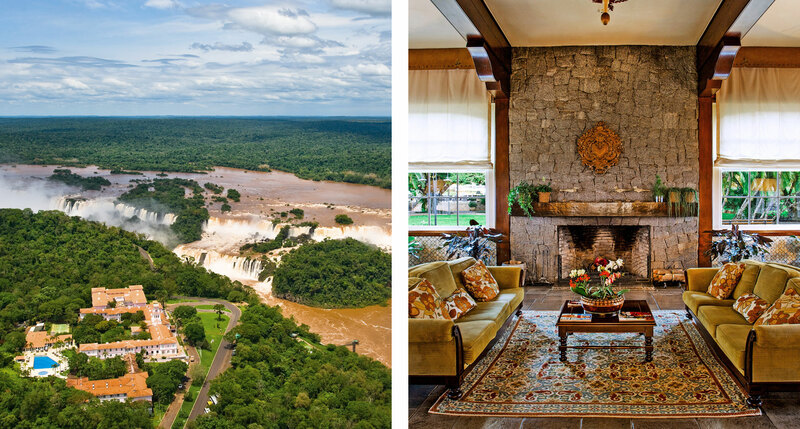 Staying at Belmond Hotel Das Cataratas means that you’ll sleep just a stone’s throw away from the thundering series of more than 275 waterfalls that make up Iguazu Falls National Park, one of our planet’s most astonishing natural landmarks. The hacienda-style hotel is no slouch either, having been lovingly restored to its 1950s glory, with the original Portuguese-inspired charms on proud display. Travaasa Hana goes less for architectural amazement and more for another kind of wonder: the 21st-century human who can detach from their favorite devices and cast off their reliance on modern conveniences. 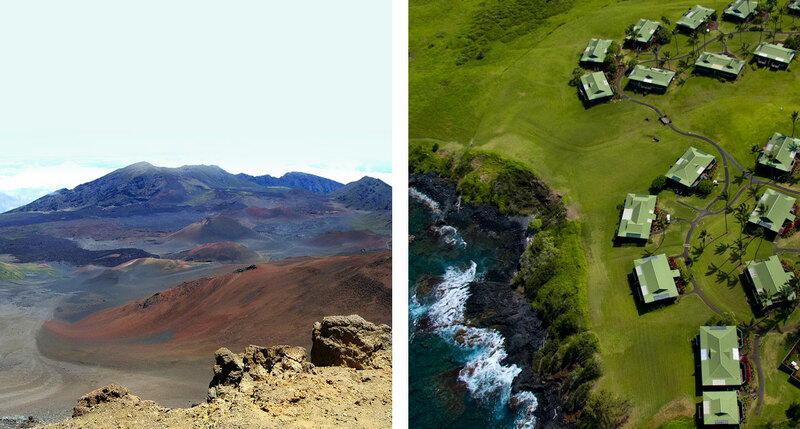 Located on this desolate eastern tip of Maui, the resort’s open-air cottages are appealingly rustic, providing an appropriate home base for exploring the volcanic features at nearby Haleakalā National Park. Not long ago, this fishing village didn’t even have electricity. 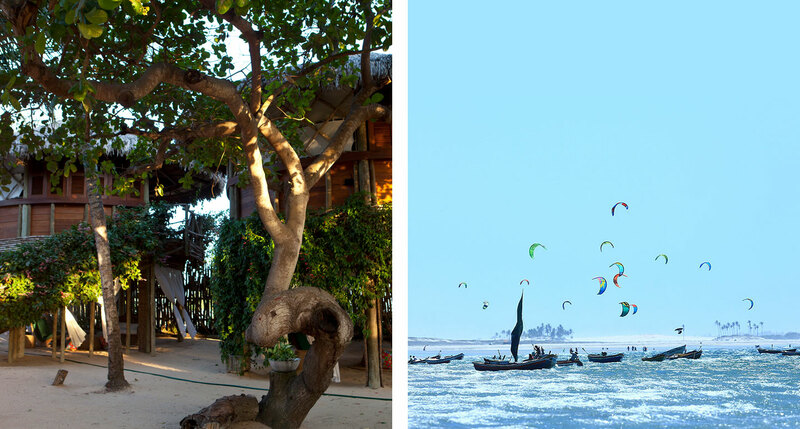 After the Brazilian government made the region Jericoacoara National Park in 2002, it became a windsurfers’ mecca, but thankfully still feels stuck in a dreamy past of sand-covered lanes and swaying hammocks. 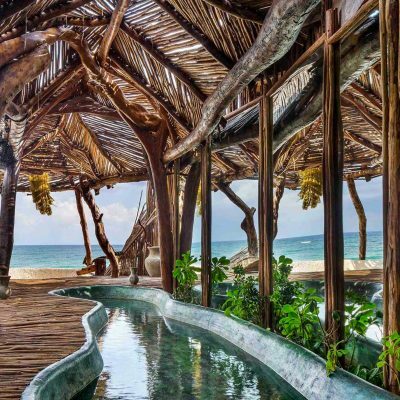 Made from eucalyptus, mud bricks, straw and local timber, the stilted houses and bungalows of Vila Kalango fit right in with that down-to-earth ideal. Yes, that Komodo. Plataran Komodo Resort & Spa is a series of extravagant villas spread along Waecicu Beach, in one of Indonesia’s most beautiful and untouched regions. 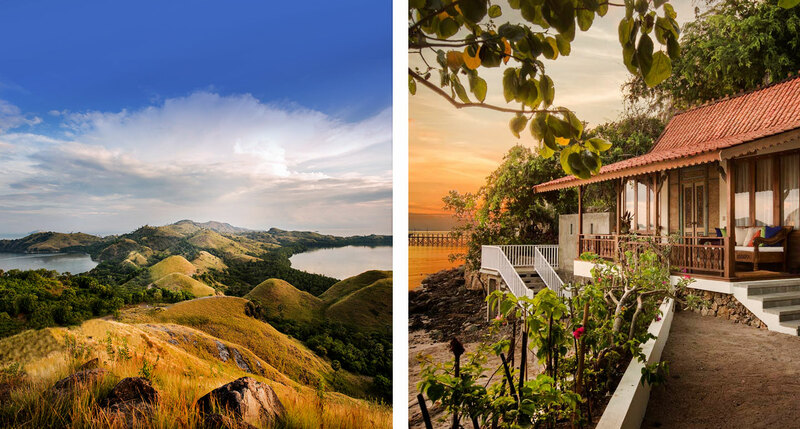 And if that level of luxury weren’t enough, it’s just a short boat ride to the islands of Komodo National Park, home to the famed Komodo Dragon as well as some of the richest marine biodiversity on earth. After a recent renovation, the Edwardian-style Victoria Falls Hotel is as distinguished and elegant as it was upon its opening back in 1904. 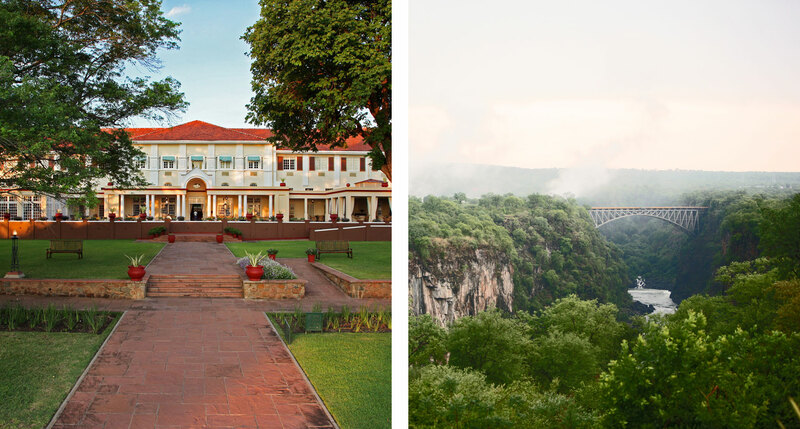 This grand hotel is famous for being one of Africa’s most opulent — which it would have to be in order to consider itself a worthy companion to Victoria Falls National Park, renowned for containing the world’s largest sheet of falling water. Bazaruto Archipelago National Park is a string of six islands off the coast of Mozambique. 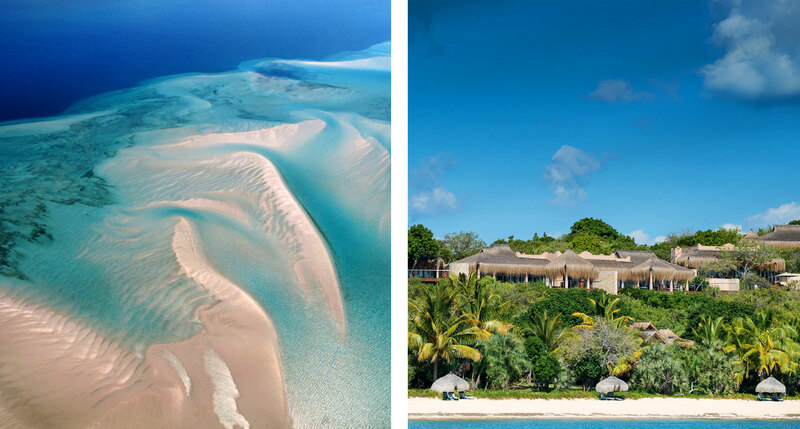 One of the islands is private, and is where you’ll find the luxury villas of Anantara Bazaruto. There’s an end-of-the-world vibe here, for sure, but it doesn’t feel empty — the location lends itself to exciting leisure activities like coral diving, deep sea fishing, dune boarding, and much more. 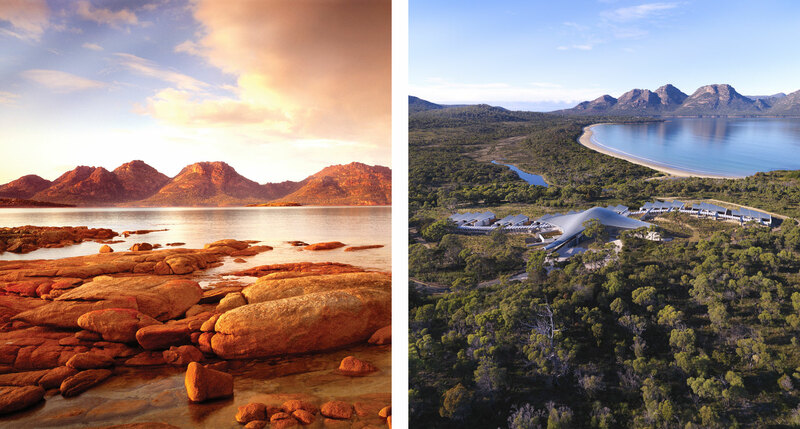 Befitting a hotel that’s tucked in next to Australia’s Coles Bay Conservation Area and Freycinet National Park, Saffire Freycinet is a completely green endeavor. Everything under the undulating roofs of this wave-shaped string of modern luxury villas — and its manta-ray-shaped mothership of a central lodge — is about as low-impact as it’s currently possible for a human settlement to be.